The domain within your query sequence starts at position 475 and ends at position 518; the E-value for the SOCS domain shown below is 1.65e-19. and ras and ras-like GTPases [(PUBMED:9419338)]. 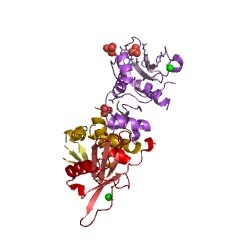 The SOCS box found in these proteins is an about 50 amino acid carboxy-terminal domain composed of two blocks of well-conserved residues separated by between 2 and 10 non-conserved residues [(PUBMED:9419338)]. The C-terminal conserved region is an L/P-rich sequence of unknown function, whereas the N-terminal conserved region is a consensus BC box [(PUBMED:9869640)], which binds to the Elongin BC complex [(PUBMED:9869640), (PUBMED:10051596)]. 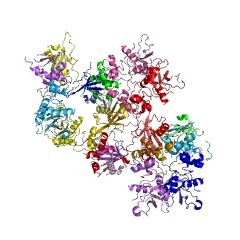 It has been proposed that this association could couple bound proteins to the ubiquitination or proteasomal compartments [(PUBMED:10051596)]. There are 3381 SOCS domains in 3379 proteins in SMART's nrdb database. Taxonomic distribution of proteins containing SOCS domain. This tree includes only several representative species. The complete taxonomic breakdown of all proteins with SOCS domain is also avaliable. Click on the protein counts, or double click on taxonomic names to display all proteins containing SOCS domain in the selected taxonomic class. Suppressors of cytokine signaling (SOCS): negative regulators of signal transduction. 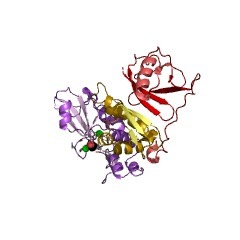 SOCS-1 was originally identified as an inhibitor of interleukin-6 signal transduction and is a member of a family of proteins (SOCS-1 to SOCS-7 and CIS) that contain an SH2 domain and a conserved carboxyl-terminal SOCS box motif. Mutation studies have established that critical contributions from both the amino-terminal and SH2 domains are essential for SOCS-1 and SOCS-3 to inhibit cytokine signaling. Inhibition of cytokine-dependent activation of STAT3 occurred in cells expressing either SOCS-1 or SOCS-3, but unlike SOCS-1, SOCS-3 did not directly interact with or inhibit the activity of JAK kinases. 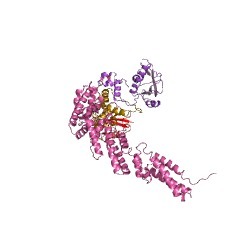 Although the conserved SOCS box motif appeared to be dispensable for SOCS-1 and SOCS-3 action when overexpressed, this domain interacts with elongin proteins and may be important in regulating protein turnover. In gene knockout studies, SOCS-1(-/-) mice were born but failed to thrive and died within 3 weeks of age with fatty degeneration of the liver and hemopoietic infiltration of several organs. The thymus in SOCS-1(-/-) mice was small, the animals were lymphopenic, and deficiencies in B lymphocytes were evident within hemopoietic organs. We propose that the absence of SOCS-1 in these mice prevents lymphocytes and liver cells from appropriately controlling signals from cytokines with cytotoxic side effects. The SOCS proteins: a new family of negative regulators of signal transduction. The negative regulation of cytokine signaling, with the exception of the tyrosine phosphatases, is not widely understood. We recently identified a new family of negative regulators by retroviral expression of hematopoietic cDNA library in the monocytic leukemic cell line, M1. This was coupled with selection for cells that were no longer able to differentiate in response to interleukin-6. From this screen, SOCS-1 was cloned and was shown to arrest cytokine signaling by binding to and inhibiting the intrinsic enzymatic activity of the JAK family of protein tyrosine kinases. SOCS-1 expression is induced in response to a range of cytokines and as such is thought to form part of a classic negative feedback loop. The SOCS family of proteins is linked by the presence of a conserved carboxy-terminal domain termed the SOCS box and now encompasses five distinct protein groups on the basis of the structural elements found amino-terminal to the SOCS box: (1) those that contain SH2 domains, (2) those that contain WD-40 repeats, (3) ankyrin repeats, (4) SPRY domains, and (5) GTPase domains. As yet the function of the SOCS box remains unknown, but given the level of conservation within such diverse proteins, it is likely to have a broadly similar role in each. SOCS: suppressors of cytokine signalling. Regulation of many aspects of cell behaviour occurs through the interaction of cytokines with specific cell surface receptors, resulting in the activation of cytoplasmic signal transduction pathways. Although cellular responses to cytokines are tightly controlled, few molecules have been identified which are able to switch these signals off. The suppressors of cytokine signalling (SOCS) proteins are a new family of negative regulators of cytokine signal transduction. 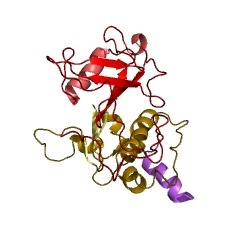 SOCS proteins contain a variable amino-terminal region, a central Src-homology 2 (SH2) domain and a novel conserved carboxy-terminal motif termed the SOCS box. 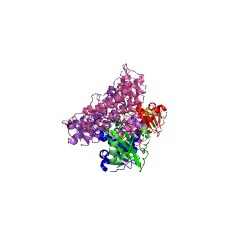 The expression of SOCS proteins is induced by cytokine. Once expressed, SOCS downregulate JAK/STAT pathways and hence the biological response. Recent studies, primarily reliant on overexpression of proteins, indicate that SOCS may be involved in modulating additional pathways, suggesting that they may play a more general role in regulating cellular responses to cytokine. The analysis of knockout mice will clarify the physiological role of SOCS in regulating cytokine responsiveness. Mutations leading to the loss of SOCS activity may give rise to cytokine hyperresponsiveness and may contribute to the development of diseases such as diabetes and cancer. Small molecule effectors which modify SOCS function may potentially be useful therapeutics for the treatment of certain diseases. A family of cytokine-inducible inhibitors of signalling. Cytokines are secreted proteins that regulate important cellular responses such as proliferation and differentiation. Key events in cytokine signal transduction are well defined: cytokines induce receptor aggregation, leading to activation of members of the JAK family of cytoplasmic tyrosine kinases. In turn, members of the STAT family of transcription factors are phosphorylated, dimerize and increase the transcription of genes with STAT recognition sites in their promoters. Less is known of how cytokine signal transduction is switched off. We have cloned a complementary DNA encoding a protein SOCS-1, containing an SH2-domain, by its ability to inhibit the macrophage differentiation of M1 cells in response to interleukin-6. Expression of SOCS-1 inhibited both interleukin-6-induced receptor phosphorylation and STAT activation. 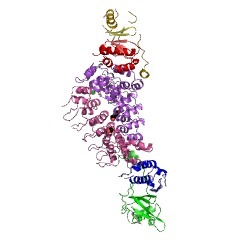 We have also cloned two relatives of SOCS-1, named SOCS-2 and SOCS-3, which together with the previously described CIS form a new family of proteins. Transcription of all four SOCS genes is increased rapidly in response to interleukin-6, in vitro and in vivo, suggesting they may act in a classic negative feedback loop to regulate cytokine signal transduction. Cloning of a novel signal-transducing adaptor molecule containing an SH3 domain and ITAM. We molecularly cloned a cDNA coding for a novel phosphotyrosine molecule with a 70 kDa molecular mass, named STAM (signal transducing adaptor molecule), which is tyrosine-phosphorylated rapidly after stimulation with various cytokines such as IL-2, IL-3, IL-4, IL-7, GM-CSF, EGF and PDGF. STAM contains an SH3 (Src-homology 3) domain and the ITAM (immunoreceptor tyrosine-based activation motif), suggesting that STAM acts as an adaptor molecule involved in signal transducing pathways from the cytokine receptors. This information is based on mapping of SMART genomic protein database to KEGG orthologous groups. Percentage points are related to the number of proteins with SOCS domain which could be assigned to a KEGG orthologous group, and not all proteins containing SOCS domain. Please note that proteins can be included in multiple pathways, ie. the numbers above will not always add up to 100%.